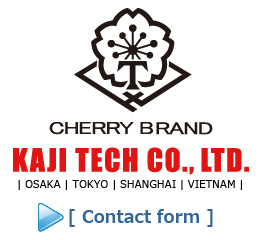 Installation Instructions of SPJ -VIDEO- | KAJI TECH CO., LTD.
Mark the spot on the fabric in the desired position. Pierce A into the fabric from the back side. Place B, face-down, on a hard surface, put the pierced fabric onto B and insert A into the hole of B. Place an extra cloth under the B to protect from scratching. Hit A to the right position with a hammer several times until B is secured.